Milk, which is used to make kefir. Kefir is a popular fermented milk drink in many parts of the Middle East. It is often available in large markets, and it can also be made at home, if you are good at sterilizing containers and maintaining a clean work space. Many people like to consume kefir because they believe that the living culture used to make it has health benefits, and because they find the slightly sour, rich, creamy flavor enjoyable. Natural kefir is not sweet, although it can be sweetened or flavored with fruit, if desired. To make kefir, you will need kefir culture. Natural food stores sometimes sell kefir grains, and you can also order kefir starter through various Internet retailers. You will also need a large clean jar and some fresh milk. Ideally, you should boil the jar before use, to ensure that it is as clean as possible before you start to make kefir. Start by pouring the kefir grains into the jar, and then filling the jar about 2/3 of the way with milk. Remember that as you make kefir, it will expand, so resist the temptation to fill it any higher. Cover the jar with a clean cloth, or use a burping lid which will allow gases and pressure to escape. If you do not use a burping lid, your kefir jar could potentially explode as the milk ferments! Traditional kefir is fermented at room temperature, and depending on ambient temperatures this will take 12-48 hours. 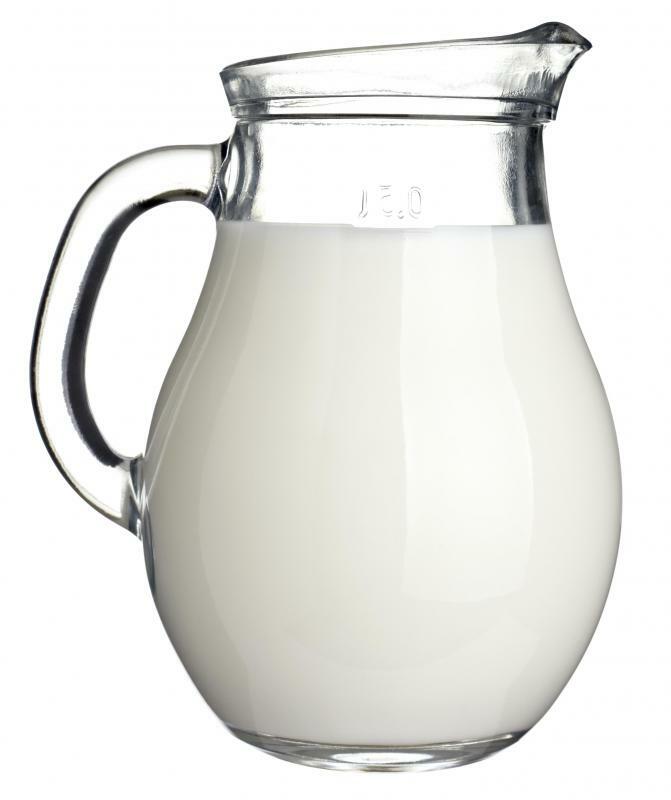 A short fermentation yields a thinner, less sour kefir, while long fermentation creates a rich, very thick, sour kefir. If you leave the kefir out even longer, it can turn fizzy and intensely sour; it is perfectly safe to drink, but the strong flavor can put some people off. You can also encourage a slower fermentation by storing your kefir in the fridge. After you make kefir to taste, it needs to be strained to remove the culture so that the fermentation will stop. Pour the kefir through a fine strainer or cheesecloth into another clean jar, and store it in the fridge until it is consumed. The starter can be moved to a fresh jar so that a new batch of kefir can be fermented. You can also store kefir starter in the fridge, if you want to slow the fermentation process to stagger your batches of kefir. The natural flavor of kefir is sour, tangy, and thick. However, fermented milk products can go wrong; if you have the slightest doubt after you make kefir, throw it out, because you do not want to get sick from harmful bacteria. Signs that your kefir has gone bad include any molds, spots of discoloration, or intensely sharp, sour odors. Can Lying Make You Sick? What Are the Different Types of Fermented Products?